Download the latest version of our app and start the process of becoming a caregiver today! Apply Now to Become a Caregiver with RestUp! How Easy is it to Become a Caregiver? Here at RestUp, we have tried to make the process of enrolling as a caregiver as simple and efficient as possible. If you believe that you have the skills and experience to be a caregiver, please join us in the journey to assist families with providing affordable and convenient care. 1. Download the RestUp app in the Google Play Store or iTunes Store and create a profile. 4. Consider Purchasing Liability Insurance for yourself. 8. 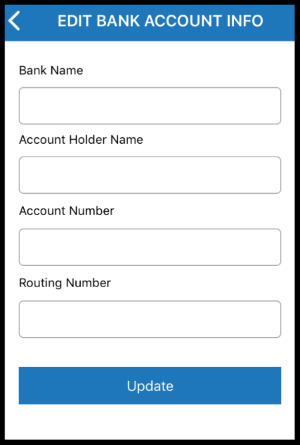 Receive Payment via RestUp App's Direct Deposit Feature. Earning Money Through RestUp is Easy! Start Today! Start by creating a caregiver profile via the app. Download the RestUp app in the Goggle Play Store or iTunes Store. Link your LinkedIn, Facebook, or Google+ pages to add creditability to your profile. After creating a profile, please purchase liability insurance for yourself. We find CM&F to be very easy to use, and they provide an affordable premium. Once you have sent RestUp your proof of coverage, pass the background check, we will then need bank information for direct deposit.